Taylor Companies mission is to generate wealth and fulfillment for our clients, associates, and shareholders by building trusted relationships worldwide with those who share strategic vision and integrity; to continually be the best in our industry at strategically producing optimal results; and through our ongoing success to support those organizations which enrich humanity. Led by Founder, Chairman and CEO Ralph C. Taylor II, Taylor Companies is truly unique in the crowded universe of investment banks and advisory firms. Since the company was founded in 1975, the Taylor family has been dedicated to providing the most professional, personalized, and confidential merger and acquisition advisory services possible. Under the stewardship of the Office of the Chairman, Taylor Companies unique resources and areas of expertise — the Four Pillars — give us a distinct advantage in achieving our client's strategic goals and allow us to offer a unique body of service superior to our competitors. The Office of the Chairman thoughtfully coordinates the application of the Four Pillars, depending on the characteristics of a transaction, in order realize our client's strategic objectives. "...Taylor Companies unique resources and areas of expertise — the Four Pillars — give us a distinct advantage in achieving our client's strategic goals and allow us to offer a unique body of service superior to our competitors." Taylor Companies is comprised of a diverse mix of individuals, each with highly specialized expertise in their respective fields and geographic markets. 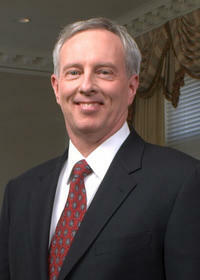 In addition to representatives of the Taylor family and select key executives, Taylor’s Office of the Chairman includes a distinguished group of Vice Chairmen with extensive senior level corporate experience.We strongly believe our clients are best served by leveraging the knowledge of these Vice Chairmen with the proprietary methodologies utilized within each of the Four Pillars. Since the firm was founded, Taylor Companies has deliberately maintained a low media profile in order to operate with the highest level of confidentiality. Consequently, the majority of our new business comes from personal referrals by our advisors and clients rather than from mass marketing or branding initiatives. Due to our structure and the nature of our approach, we are well equipped to protect critical information, which might otherwise cause distractions or disruptions if leaked during a transaction. We feel our record of achieving exceptional results, our ability to operate with the highest level of confidentiality, our commitment to personalized service, and our exclusive focus on merger and acquisition advisory distinguish us from our peers. 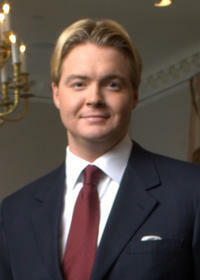 Mr. Taylor created the company’s vision and is the primary architect of Taylor’s unprecedented Global Advisor Network. He attended the University of North Carolina at Chapel Hill and in 1975 his entrepreneurial drive led him to form an executive search consulting firm that specialized in the strategic recruitment and placement of high-level senior executives for Fortune 500 clients. He personally pioneered many of the recruiting methods and techniques commonly used in the industry today. Leveraging his existing knowledge, skills, and vast contact base, Mr. Taylor quickly expanded the firm’s services into the areas of management consulting, global mergers and acquisitions, and the execution of highly confidential divestitures. This business was the origin of what would eventually become Taylor Companies. Driven by the goal of creating a methodology that is superior to those most commonly used in the industry, Mr. Taylor has devoted his career to consistently generating significant wealth for his clients and their shareholders through the strategic application of synergy. A former trustee of the National Foundation for Advancement in the Arts, Mr. Taylor has also served as a faculty member of the Young Presidents’ Organization and the Young Entrepreneurs’ Organization. In addition, he has been a featured speaker at the Association for Corporate Growth as well as at the Kellogg, Wharton, Darden, and Georgetown business school alumni associations. 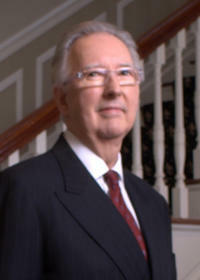 Mr. Bellis has played many essential roles since he joined the company in 1982. In his current position as Taylor Companies’ Co- Chairman of Operations, he oversees application of best practices in mergers, acquisitions, divestitures, and business development. He supervises the sales and marketing activities and is the division head for the Competitive Intelligence and Synergy Consulting practices. As President and Chief Operating Officer from 1999-2003, he was responsible for business development and project management and he oversaw all acquisition, divestiture, and strategic consulting projects. During this time, Mr. Bellis managed day-to-day acquisition, divestiture, consulting, and intelligence-gathering operations. 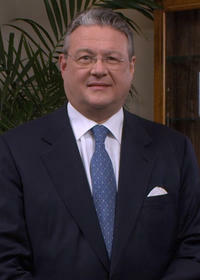 Before 1999 Mr. Bellis was responsible for the management of industry advisor and corporate advisor recruiting. Throughout his career with the company, Mr. Bellis has been an integral player in the development and enhancement of proprietary processes in the areas of acquisitions, divestitures, synergy analysis, market mapping, target identification, and intelligence gathering. Mr. Flack, a career Senior Foreign Service Officer with the personal rank of Minister-Counselor (retired), managed Taylor Companies’ worldwide network of Senior Corporate Advisors, which supports all deal execution and marketing activities. He holds degrees from the University of Minnesota, the National Defense University, the Foreign Service Institute of the Department of State, and the Federal Executive Institute. Mr. Flack has served as the United States Permanent Representative to the United Nations in Geneva, Deputy Ambassador of the United States to Denmark, head of the United States Delegation to the Coordinating Committee for Multilateral Strategic Export Controls in Paris, and in other diplomatic postings in Athens, Abidjan, Algiers, and Manila. Mr. Flack also served as Diplomat-in-Residence at New York University where he taught international relations at the Robert F. Wagner Graduate School of Public Service. Mr. Taylor, the eldest son of Ralph Taylor, joined the company in 1994, is a member of the Executive Board, and serves as Co-Chairman. He currently manages the firm’s buy-side business and specializes in the confidential acquisition of targets thought not to be for sale. Mr. Taylor also supervises Taylor Companies’ resource of Senior Advisors to collaborate on acquisition and divestiture projects. He is chiefly responsible for the growth and development of Taylor’s Global Advisor Network, including the management of Vice Chairmen. He has attended Hamden-Sydney College in Virginia and Georgetown University’s School of Foreign Service in Washington, D.C.
Mr. Shaver joined the Taylor Companies team in 2004 as Chief Financial Officer and serves on the Board of Management. He is responsible for companywide accounting operations, including maintenance of regular financial reports and records, monitoring a comprehensive set of budgetary controls and metrics, and instituting risk management and mitigation processes to ensure the responsible preservation of company assets and operational capability. He holds a B.S. in Business Administration with an emphasis in Accounting from the University of North Carolina at Chapel Hill’s Kenan-Flagler Business School. He is a North Carolina licensed Certified Public Accountant, a member of the North Carolina Association of Certified Public Accountants, and a member of the American Institute of Certified Public Accountants. Mrs. Peters has dedicated more than 30 years to Taylor Companies and has served many vital roles throughout her career. She joined the firm in 1983 as a humble receptionist and through her tenacious spirit and sharp intellect has become an indispensable member of our team. As the Director of Operations and a member of the Board of Management, Mrs. Peters manages and coordinates day-to-day functions of each department to ensure productive collaboration and efficient resource allocation. She lives in the beautiful Shenandoah Valley where she is active in her church.